Gaming News Updates for January 20th, 2016. The Humble Firaxis Bundle boasts a veritable cornucopia of fun. The current big Hmble Bundle is all about Firaxis games. Pay what you want and get a few amazing games to play. If you're curious about what your choices are, don't worry, we have you covered. If you want to pay the more than the average price (currently less than $10), you'll be able to have these splendid items too. Tom Clancy's The Division releases first live action teaser. Not much to say here, this upcoming title is getting a series of live action videos to preview the story before their release. It seems to be well done and worth a look. Winter is coming to Cities: Skylines with Snowfall DLC Reveal Trailer. Fans of the city building sim genre rejoice! More content for this game that has been great where Sim City has left many disappointed. More content coming with cold weather. Expect to have your city prepared to handle ice, plow snow, and heat up to be ready for the cold. This summer will see the release of the Education Edition of Minecraft. While the details are relatively slim as of right now, one good quote to apply to the expectations for this comes from Vu Bui, COO of Mojang in the official announcement. New Hitman title goes to fully episodic release. IO Interactive announced that a change is coming to the upcoming release of Hitman. Rather than releasing a full or even half game, we are told that the title will be a“truly episodic triple-A game experience, with a major live component.” Releasing with only two maps, players will have a prologue mission and a Paris map. Following up the release will be the Italy map releasing in April and the Morocco map in May. For those on the fence about this style of release (and a great many players are), a disc version of the content will release with everything at the end of the year. Titanfall studio working on new title? A job listing for Respawn Entertainment has shown that they are looking fill a position for "new 3rd person action/adventure IP". I wouldn't expect to hear details till around E3 personally, but here's to hoping I'm wrong and we see it sooner. Mortal Kombat XL Edition announced with trailer. For those that haven't jumped onto the newest Mortal Kombat game, there is good news ahead. As of now, you can look forward to getting every character, costume, and all other content in the XL edition. March 1st is the day it hits store shelves and digital release as well. 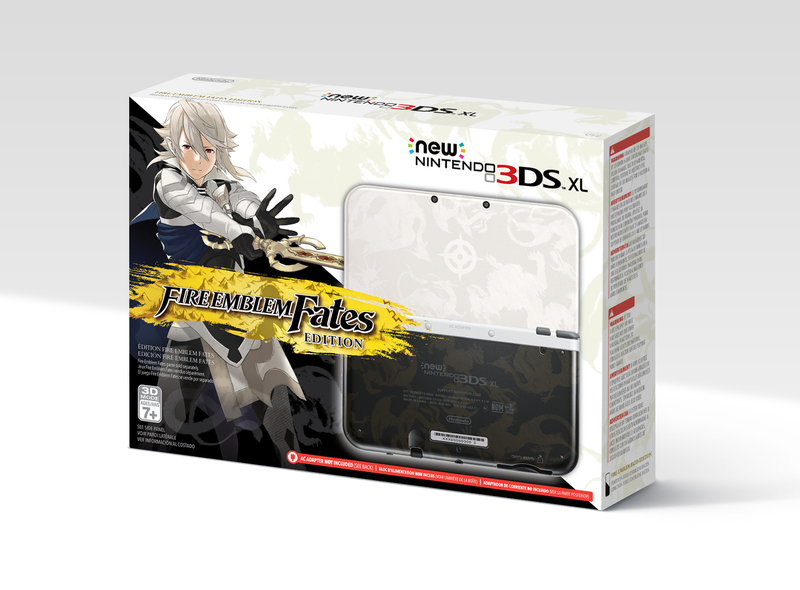 Fire Emblem Fates new DLC detailed and special edition 3DS XL system announced. March 10th will be the day Fire Emblem Fates: Revelation comes out. Coming out at $19.99, it should get fans excited for more content that will be released in the future as well. You can check out the trailer for the title here. In addition to this, there is a $200 special edition system releasing on February 19th. If you haven't already jumped on one of the special edition bundles for a 3DS, remember that they go fast so order it ahead of time. _______________________________________________________________ If there was anything that wasn't discussed today, let me know and we can bring it up. If you have any info you wanted to share, leave it in the comments and we can make things happen. Thanks, and keep gaming.